This has not been Matt Damon’s year. After the stumble that was The Great Wall, he added fuel to the #metoo fire by sounding like a defender of aggressive sexual predators. Then came Suburbicon, another misfire that couldn’t decide if it wanted to be a social satire or a bleak black comedy. It was neither. Now comes Downsizing, another schizophrenic offering which sees two time Oscar winner Alexander Payne (Sideways, The Descendants) trying his hand at a sci-fi parable. As with Damon’s previous releases this year, it’s a wholly unnecessary and uneven mess. Don’t be swayed by the trailers. 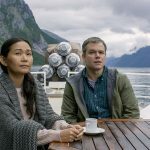 Downsizing is not a tech tweaked romp ala Woody Allen’s Sleeper. Instead, this smarmy excuse for a series of life lessons plays on the notion of success, how we measure ourselves as human beings–figuratively and literally–and what reaching our ultimate goal does to our sense of humanity. 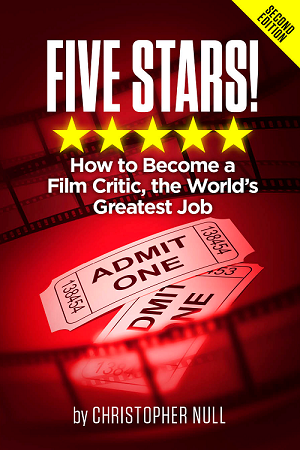 The first two acts work much better than the third, and the film feels like a series of failed ideas that should have been polished more before being visualized on the screen. Everyone is at fault here, from the cast to the creators. Damon is Paul Safranek, an occupational therapist who is having a hard time making ends meet. He is married to Audrey (KristenWiig) and after attending their high school reunion, where they run into Dave and Carol Johnson (Jason Sudeikis and Maribeth Monroe), they decide that the answer to their current predicament is something called “downsizing.” It’s a process which shrinks people down to a mere five inches. The benefits are–supposedly–life in one of several “small” communities, a better standard of living, and most importantly, greater wealth. After undergoing the procedure, Paul learns that Audrey has backed out. 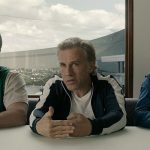 Alone, he becomes friends with a neighbor named Dusan (Christoph Waltz). At his house, he meets a Vietnamese political activist named Ngoc Lan Tran (Hong Chau) who was downsized against her will and now works as a quasi-servant. Through her, Paul learns of the slums surrounding his picturesque community, as well as the truth about mankind’s fate. 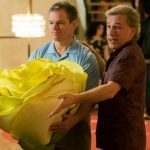 Downsizing is about five films forced together into an uncomfortable mix of sight gags and sanctimony. It believes it has a powerful message at its core, and then does everything it can to completely compromise it. Nothing Payne and his longtime writing partner Jim Taylor have to say about class-ism, prejudice, corporate greed, personal freedom, and societal discourse truly resonates. All we care about are the visual effects and how Paul’s life is changed by the shrinking process. This seems to be a theme with most speculative fiction revolving around miniaturization. Joel Schumacher’s surreal The Incredible Shrinking Woman tried the same thing with advertising and the environment as its targets, and ended up just like this–scattered and unsatisfying. It’s at the third act where things really go off the rails. Bringing Chau’s character to the fore, filtering everything through her perspective, causes Downsizing to disintegrate. It’s a risky move, and one Payne clearly believes in, but as for the audience, it comes across as hollow and preachy. What’s really missing from Downsizing is fun. This is a joyless movie that pretends to be having a blast. All the visual spectacle can’t make up for a confused, convoluted narrative that’s never quite sure what tactic to take. Should this be farce? Should it be fearless? Should it try to make a political or philosophical point or should it simply ride on its own CG coattails. Damon may or may not deserve better, but the viewer sure does. Downsizing is a slog. It has so much potential, and yet still finds a way to waste it all.